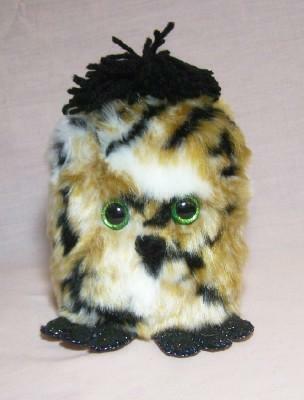 Calico is very furry in calico colors with green eyes, a black nose, and matching black hair and feet with sparkles. For ages 3 & up and is not a pet toy. 7" tall and approx. 4" wide.